Ask fellow campers about "Alaskan RV Park" and nearby attractions. Great park with great music Should stop to see it. Lots of history here with old country music and Judy Hall country singer We camped at Alaskan RV Park in a Motorhome. Hook ups and great people. Phone services is great and weather is nice. Should stop and say hi to Judy Hall country music singer. Sideman jamboree. Lots of old country music has been played here. This is a no-frills park; no trees, wi-fi, or cable TV, just open gravel pull-thru sites. The park is owned by a 90 year old widow lady. She was a country music entertainer in her day and is talkative and friendly. She likes dogs, so the park is pet friendly. 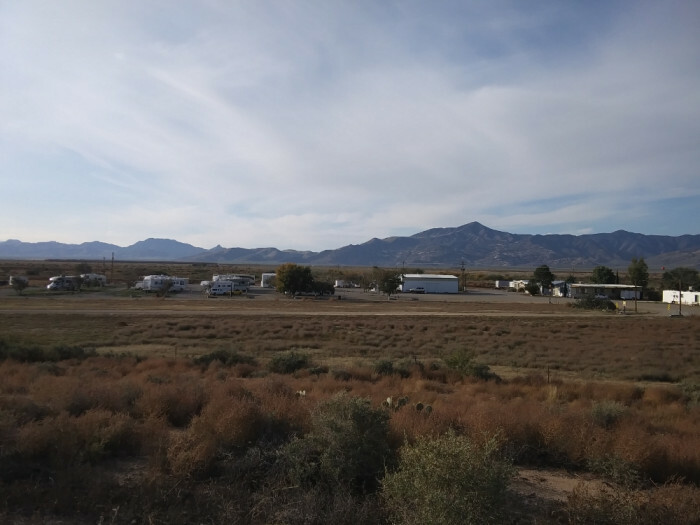 The location is convenient and easy on and off at exit 366. We camped at Alaskan RV Park in a Motorhome. Easy on/easy off from I-10. The RR is near by, but the trains don't blow their horns, so trains are not noticeable. All site are pull-throughs. Some of the sites farther away from the office are good for 40' with toad without unhooking. 30 amp power worked good in the 103* heat. No shade. This place is a much older gravel parking lot and the weeds are growing up in places. Good for overnight stay, but not for long term. For $18 we were satisfied with our stay. We camped at Alaskan RV Park in a Motorhome. Good overnight park. Nothing to brag about but easy in and easy out. Sites are large, but no pull-thrus for larger rigs. My class A 33 footer with a toad didn't have to unhook. Roads and sites are gravel and level. Electric, water and sewer connections are convenient. Close to the interstate and a RR, but I did not find the noise level irritating. Host people were very cooperative and friendly. Unless you have satellite there is no TV. Wi-Fi was weak or less. In summary, you’re in the middle of a desert, so what do you expect. We camped at Alaskan RV Park in a Motorhome. 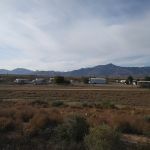 We lucked onto this after we couldn't locate Mount View RV Park (which turned out to be off the main highway instead at the 1120 I-10 address shown on the website). The folks here were very nice and this was just a quick overnight for us. Very quiet park. Excellent drinking water. Easy on and off I-10 on the East end of Bowie. Would definitely stay again if we need an overnight in the area. This is not a scenic area so unless you are looking for extreme rest and relaxation it might not be the park for you. We camped at Alaskan RV Park in a Fifth Wheel. Listing to music or play it if you bring instruments .... Relax with full Hook ups and great people. Phone services is great and weather is nice. Should stop and say hi to Judy Hall country music singer. Sideman jamboree. Lots of old country music has been played here. 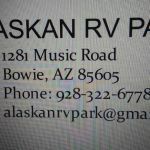 Are you affiliated with Alaskan RV Park ?